Defective medical devices cause injury and harm instead of treating a specific health condition. Modern medicine has transformed the lives of millions through innovations in medical devices that can save lives, restore or improve motion and mobility and increase the quality of life for patients. But these devices that are often implanted into the human body can turn on the person they were meant to heal and instead cause injury, infection and often the need for additional surgeries to repair or replace the defective device.  The skilled and compassionate Fort Lauderdale products liability lawyers at Yeboah Law Group can help clients pursue compensation when they have suffered a serious injury because of a defective medical device. Design. A design defect is introduced in the design stage of the products manufacture. The metal on metal hip replacement is an example of a design defect because the natural movement of the human hip causes the metals to wear down and release metal fragments into surrounding tissue and bloodstream causing serious injury to patients. Manufacturing. A manufacturing defect can be introduced at any point in the process of creating the device. Marketing. The marketing of a medical device includes all the information about the device that the manufacturer gives to the doctor and the patient. A marketing defect also includes the failure on the part of the manufacturer to adequately warn the end consumer or physician about any inherent dangers associated with the device, and instructions for the safe use of the device. What is an FDA medical device recall? The U.S. Food and Drug Administration (FDA) is the federal agency with oversight over the food and drug industries in the United States. They also create the rules and regulations that govern the approval of medical devices before they can be sold to physicians and consumers. When a company discovers a problem with one of their medical devices that could potentially cause harm, they can initiate a product recall to either correct the problem or remove the product from the market. A product recall occurs when a manufacturer acts to correct or remove a medical device that violates FDA law. The FDA can order a product recall when a medical device is defective, poses a risk to health or both. A company can voluntarily initiate a recall, or the FDA can compel a company to recall a medical device that is defective and poses a threat to the health of patients using it. Class I: A situation where there is a reasonable chance that a product will cause serious health problems or death. Class II: A situation where a product may cause a temporary or reversible health problem or where there is a slight chance that it will cause serious health problems or death. Class III: A situation where a product is not likely to cause any health problem or injury. After the FDA assigns a classification to a recalled device, they monitor the situation until the product has been either corrected and no longer poses a threat to health and then they can terminate the recall. The FDA publishes information about medical device recalls in its Medical Device Recall Database, and it updates the public through its weekly Enforcement Report. The FDA also publishes additional information about Class I through III recalls keeping patients informed about the potentials hazards associated with the defective device. When a medical device begins to cause injury and harm to the body in which it has been implanted, it often requires expensive, painful surgeries to correct the problem. If you have a defective medical device inside your body that is causing pain, injury and additional health problems, you are likely running up tremendous medical bills and you are probably unable to work. Others who have experienced these same problems have pursued legal action against the device manufacturer in a products liability lawsuit. The device manufacturer had a duty of care to produce a safe and effective product that would not cause harm. The company’s negligent actions breached their duty of care. The negligence was the cause of your injuries. Your injuries created damages for which you can be compensated. Proving a defective medical device product liability case is complicated. 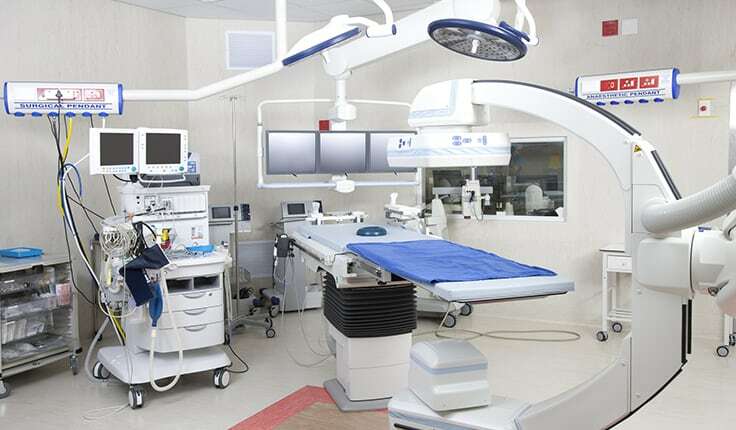 You will require the services of an experienced Fort Lauderdale product liability attorney who will work with medical experts to investigate your case and represent your interests. They might take legal action not only against the device manufacturer, but the medical sales representative that sold the device, the retail supplier, your physician, the hospital or clinic where the implant surgery took place. 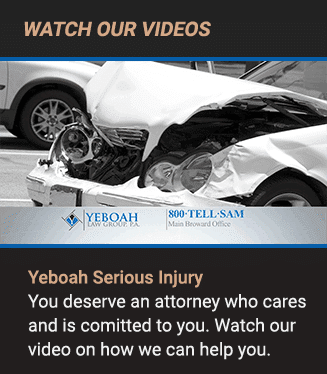 At Yeboah Law Group, we represent the interests of our clients who have suffered injuries due to defective medical devices. Our product liability attorneys hold responsible parties accountable for our clients’ injuries and losses. You are welcome to schedule a free consultation at 1-800-TELL-SAM or fill out our contact form. We serve clients throughout South Florida.